How cool is this? 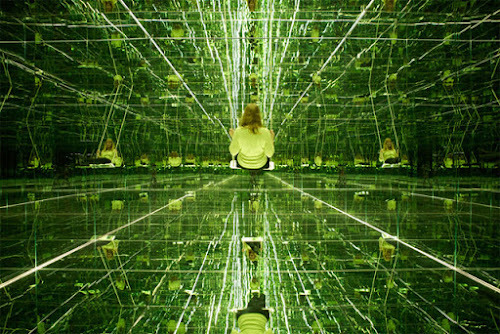 This tiny room, measuring a mere 12 feet x 12 feet x 21 feet, looks like an optical illusion. 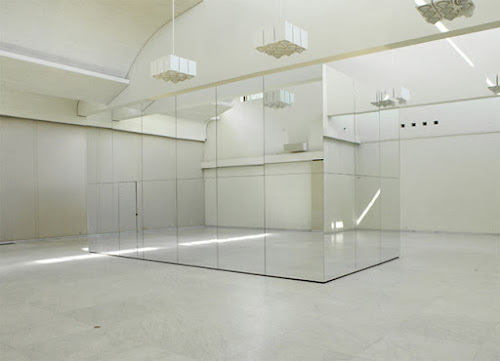 But its actually an art installation by Berlin-based artist Thilo Frank—a fully mirrored space inside and out—that reminds me of a combination of this and this. 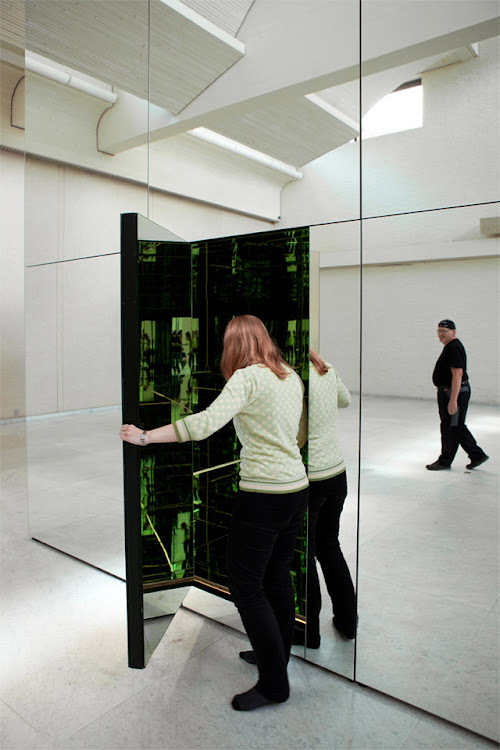 Installed at the Museum of Modern Art in Aalborg, Denmark in 2010, it is further proof that all the coolest art projects are executed in Europe. Read more about the installation, entitled The Pheonix is closer than it appears, here.